Over the past few years I needed some electrical work done at my old home, and just recently my new home as well. Tyrrell Electric went above and beyond to make sure all of my needs were addressed. The work was done in a timely manner, and I could not be happier with the outcome of the service they provided. I would be happy to refer Tyrrell Electric to anyone that needed quality work done. Truthfully, I am thinking of installing a whole house generator in the near future, And once again, I will be calling on Tyrrell Electric! Very helpful in updating electrical system through out the campground. We appreciate them working with us as we upgrade the infrastructure of the campground. Install second meter box to outlet in garage for electric vehicle. A very excellent job overall. Guardian Alarm Company, Michigan's largest security company, used Tyrrell Electric to install a 350 KW diesel generator to power our entire headquarters building in Southfield, Michigan. This was a difficult and expensive installation due to our existing building infrastructure and the City of Southfield's code requirements. Joe Tyrrell designed an innovative solution that utilized four parallel transfer switches which eliminated installing additional equipment, replacing our main feed cables from Edison and trenching our parking lot. This easily cut our installation costs in half! Tyrrell's crew was very professional and quickly completed the job. Everything works perfectly, and we are very satisfied! We plan on using Tyrrell Electric for our future projects. 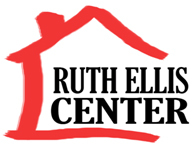 Joe Tyrrell of Tyrrell Electric has been a tremendous vendor in helping us improve and repair the electrical system at Ruth Ellis Center. His Estimates are detailed and concise. When choosing materials he offers a clear explanation of why he recommends a product and how it will function over the long-term. He is prompt and diligent in his work. If changes need to be made in the original plan of work, he explains why and gives alternates to meet the best balance between value and budget. Finally, he thoroughly finishes the job and leaves nothing undone. I will continue to use Joe's services in the future and recommend him to others. Tyrrell Electric has done two electrical jobs in our home. One was installing all new lighting fixtures in our kitchen and dining area. The other was replacing our old fuse type electric service panel with a new 100 amp circuit breaker type panel and adding a six circuit generator panel for our portable generator. They did a fine job in each case. The work was done professionally and without any problems afterward. They are very easy to talk to, answered all my questions and explained everything they did. I would certainly hire them again. I am a contractor with 15 years of experience in the construction field. I think that too rarely, we fail to commend a company or worker who excels at their work. This is why I want to pass on a word of thanks for a company that has done such a good job for me. Tyrrell Electric showed me recently why I will continue to call upon them for my electrical needs. They completed a job for me promptly, and for the quoted price. Joe Tyrrell and his workmate, Jay, were courteous, clean and did the job completely - just as I hoped, and just as they promised. I am very satisfied with the workmanship, and with the entire job. Repeated business is the greatest compliment in our business. Rest assured, I will continue to call on Joe and Tyrrell Electric in the future. Thanks again! I moved into a wonderful Ferndale neighborhood eight years ago and have been gradually renovating my entire property. This year, Tyrrell Electric has done two jobs for me and I'm extremely satisfied with the results. Joe installed extra electrical sockets in every room, put in a baseboard heater in the upstairs bedroom, added on a whole house surge protector, fixed a wiring short, installed a generator interlock, and set up service so I could easily install my own floodlight fixtures. On both occasions, he was very professional, answered all my questions, worked with me to accomplish what I wanted, and he cleaned up completely (even vacuumed my front room carpet). His rates are reasonable and competitive. I would recommend Joe & Tyrrell Electric to any homeowner for their electrical needs. Thanks so much, Joe!